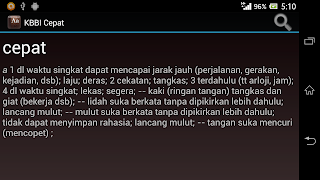 For you that need an Indonesian dictionary with fast search as the main feature, you might try to use this Android application in your mobile phone or tablet. 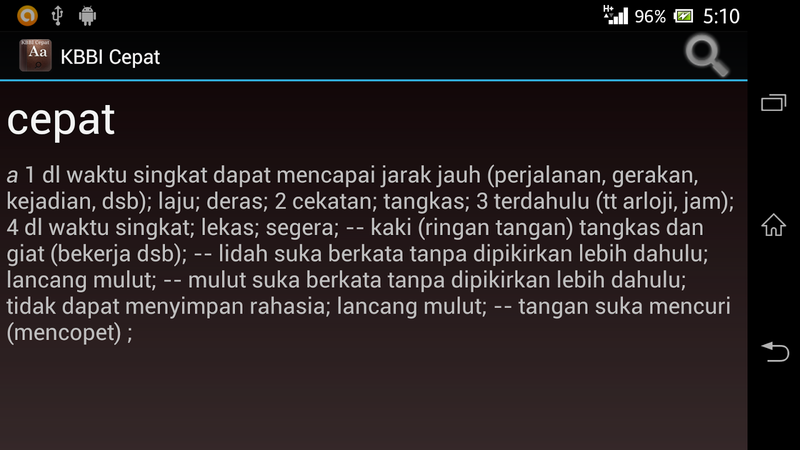 This is an Indonesian to Indonesian dictionary. 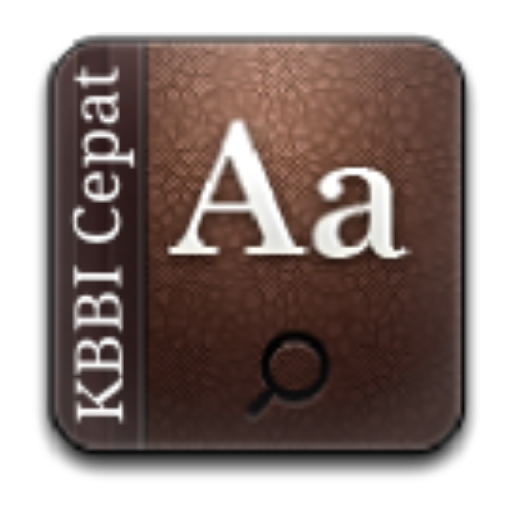 "KBBI Cepat" app contains Bahasa Indonesia keywords and their definitions. As the source of this app is Kamus Besar Bahasa Indonesia (KBBI). You may check what KBBI is at http://en.wikipedia.org/wiki/Great_Dictionary_of_the_Indonesian_Language_of_the_Language_Center .